If there is one topic I’m comfortable and confident giving advice in, it would be that of: How to get the best stuff at garage sales. My apartment is filled with awesome garage sale finds, from antique furniture and home decor items to pretty dishes and kitchen gadgets. Besides being a hobby, garage sale-ing is also a way for me to get practical goods for cheap. You may be wondering how garage sale tips apply to cheap recipes. Quite well, actually. Go early: This is absolutely critical. Unlike retail stores, garage sales don’t stock multiples of items. Once an item is gone, it’s gone. The best stuff goes early, so be ready to shop when the sale starts. Go on the first day: If I see a sign for a garage sale on Saturday that started the day before, I don’t go. Most of the time, the selection is pretty bad after day one. Your time will be better spent looking for a new sale. Hit neighborhood or city-wide sales: But keep in mind, there are going to be more people competing for the items, so start early. Search for garage sales online or in newspapers: I always check Craigslist for local yard sales. The classified section is another place to find yard sale listings. Bring small bills and change: Not all sales have change for larger bills. Bring your own bag: Bring a large bag with you to carry your items. In neighborhood-wide sales, you can avoid multiple trips to the car to unload your items – saving time and allowing you to hit more sales early on. Know when to negotiate: Negotiating is somewhat expected at yard sales. 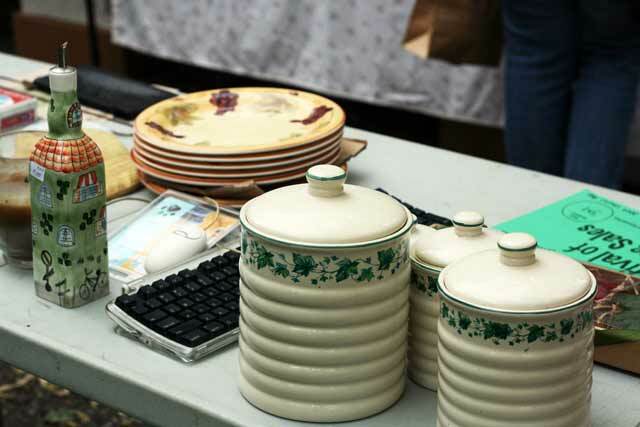 While it’s not always necessary to barter at a garage sale if prices are low, don’t be afraid to ask for a lower price. 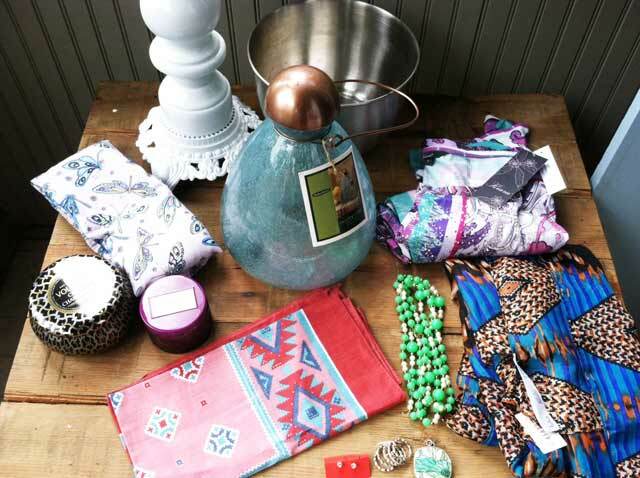 A serving tray, two cookbooks, a cloth napkin, condiment dishes, light switch cover, belt, and jewelry. I am also a fan of garage sales because it’s where I can find beautiful and cheap items. Thanks for all these tips. I am so glad the nice weather is around the corner. Here in Snowville we are forced to go to the charity shops for 9 months out of the year, so I am ready for some fresh garage sale air! I’ve got a wad of ones that are burning a hole in my pocket. Thanks for the tips! Unfortunately, garage sale season is getting a late start this year with all the snow and cold. I’m planning to hit garage sales and estate sales this summer looking for non-electric kitchen tools as we continue to wean our household off fossil fuels. Luckily, those things don’t sell fast so I can go right before the end of the sale and pick it up for cheap. Every time I read this (and it’s definitely been more than once or twice…) I get all excited to go out and “shop” (a la garage sale). I try my hardest to never buy anything new- it just doesn’t make sense- bad for the environment and spendy so between garage sales and thrift stores I’m a happy consumer… It’s our town garage sale weekend this week and I’m out of town so bemoaning the fact that I’m going to miss it, so vicariously living it out through your post.